Oh my. I had planned on actually sharing Christmas pictures and stories on Christmas. I guess I did not make it. I am still stuck in October. I am almost grateful November was uneventful and I may get to December before it is over. At least there is a small sliver of hope. In Michigan we went to one of my favorite fall spots, The Franklin Cider Mill. It reminds me of high school, fall and Michigan in general. There really is not much to do, it is over priced but hey that is where nostalgia gets you! Pa and Uncle Chris joined in and it was a perfect fall day. The girls fed the ducks and we all enjoyed cider and doughnuts. Over all a success and the next fall we are in Michigan we will be back! Cheers! My favorite time of year, by far, is fall. The colors, the crunchy leaves, the brisk air. I love it all especially when I get to head to Michigan where I rarely have to contend with rain. Well this year there was plenty of rain. I expected lots more time to shoot my own kids but only got this one chance. I took them to a location I was shooting at later that week to test it out. I got no cooperation from the subjects which lucky resulted in beautiful candids! No sibling shot or at least not one that would make the mantel but the weather, well, the sun made up for it all. 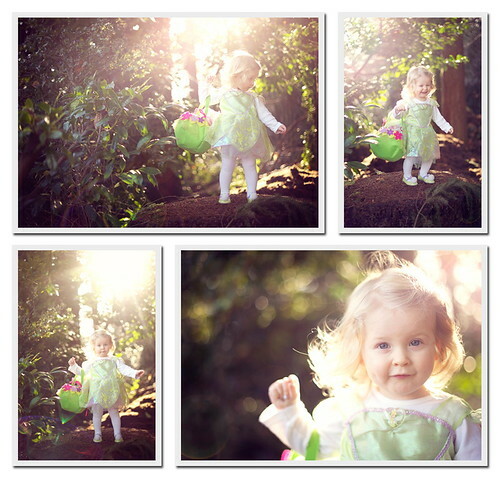 And here are the wonderful results of 30 very frustrating minutes of a photographer motherhood. All you other photographer moms know exactly what I mean! And for any of you that follow my business page this is an exact repeat but with a few special family shots thrown in!!! In a world of social media we are inundated with only part reality. We see a happy family out for the day, the perfect dinner being served, a wonderful art project completed, a pin board filled with all the wonderful educational activities we spend our days completing, toasts and accolades to the perfect spouse and ones very best friend a testament to the joy of life. It, Facebook, is kinda like the modern day “Leave it to Beaver.” A snippet of reality that shadows the whole truth under a veil of unattainable perfection. Well today was crappy. YES, crappy. No fancy vocabulary, no veil. CRAPPY! This blog is a journal. One I hope my children will look back on to remember their childhood. I hope it makes them laugh. I hope it fills their hearts with smiles but I also want it to be the truth. Years from now their day will end with children snug in their beds perhaps a glass of wine in their hand and them wondering how they will do it again tomorrow. I hope they find hope in the pages of this blog. I hope they find truth and I hope they know that unattainable perfection is just that. Unattainable. Today I woke up with the flu, and a 102 degree fever. Other symptoms I will not detail. Today was my MOPS group. One of my only times for adult, childless conversation. I missed it. Today my kids did not eat the first breakfast I made them. They did not eat the second breakfast I made them. Today I put the garbage out apparently after the garbage man came. Today 20 minutes after I finally got Ella to sleep for nap Ava went in because she thought Ella needed her. Sweet, yes, screaming baby with no nap… not so sweet. Now two tired kids with no naps, and a 102 fever we were out of milk amongst other things. Two kids in the car to the store. I do not think it necessary to go into details at this point although I will state that Ella spends 90% of any car trip screaming or crying and that is with a nap. Today my kids ate part of the dinner I made them (I consider that a success). I cleaned two floors of my house, vacuumed and did a mini photo shoot. Today we did two art projects and kicked off the first of My 12 days of Christmas Tradition. Today like everyday I took two kids in the rain for a 30+ min walk with Lola because she is a member of the family and has needs too. Today there were tears and spilled milk. There were smiles and giggles. There was fun and boredom. There were successes and failure. Today I am sitting here typing which is my therapy while I wait for the crying on the monitor to die down. Ella has decided that she no longer wants to go to sleep. Today I was a mom of two children and a dog. Today I feel guilty like many days that I have no energy to be a wife. My wonderful husband who is equally exhausted sits downstairs alone because I need these minutes to myself. I wish that I had wine but even without it I am thinking, how will I do this again tomorrow. That is the truth. But no matter what happened today, there was love. Everyday there is love even through the tears. Love that cannot be described in words. And that is why even though I sit and wonder, I know how I will do this again tomorrow. Well it was a long road to the final choice of Halloween costumes. I was set on Ella being Little Red Riding Hood and Ava jumped at the chance to be the big bad Wolf!!! How cute would that be!! Well alas Ava was bitten by the super hero bug. Changing her mind to Batman. She stuck to that for weeks insisting that Ella still be Riding Hood and Daddy the Wolf. She, Batman would save Riding Hood from the mean Wolf, Daddy. Well who can argue with that logic. When in comes Brave. 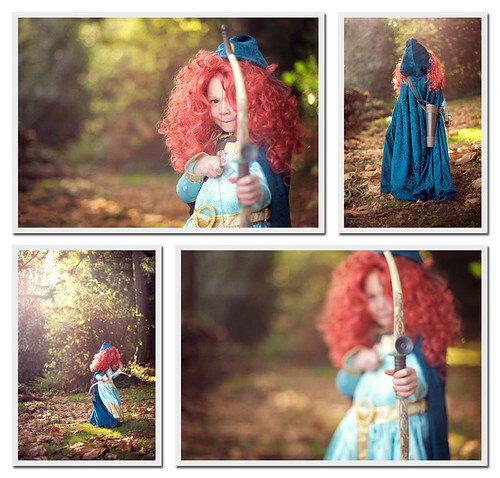 I am not sure what had her sold first the red hair or the bow and arrow. Well Merida it was! And if big sis was going Disney Ella mine as well too! And can you even imagine a cuter Tinker Bell? Fall in Michigan is my FAVORITE time of year. The colors, sun, crisp air, crunchy leaves and I get to leave the northwest rain behind. Well, not so much this year. No it was not terrible but the rain definitely followed me from Seattle. I always look forward to my trips home to Michigan. Ava gets so excited and counts down the days and except for the dreaded plane flight I have help and giggles for weeks at a time. This year I had all of those along with non sleeping children and thus a non sleeping mama. Not sure what it was about this trip east but we did not adjust. At all. I was exhausted by the time we flew back home. Despite it all there were lots of giggles and good times and although belated I plan to share them. Hopefully before Christmas! LOL! Here is Ava in her window at Grammy’s. This window is a place to climb, read, watch TV from, jump off of, or just sit. Who knew that a window could be so many things! Love it. I had plans to visit the Pumpkin patch in Michigan with my family so I almost did not bring my camera on Ava’s class field trip. I am glad I did! With all the rain in Michigan this fall the class trip ended up being our one and only. My little pumpkins!!! Well it has been awhile. In fact it is quite ridiculous how long it has been! I have had tons of business that came before my personal blog. Sad but reality. It is nice to be busy but I also hate loosing track of this blog. It is so important to me that the girls have this. The story of their childhood. So for awhile it will be flashback time! First up BUTTERFLIES!!! A couple years ago my good friend Emily gifted Ava a butterfly kit. If you have never done this with your children do it NOW!! Also one of the best gifts ever! So if you need an idea there you go! We made a whole learning experience from it. Caterpillar to butterfly. We read books, did art, pretended to be butterflies and watched them grow and change. The first week of Pre-K we let them fly away. The whole experience was amazing and it was magical to watch Ava through the process. But those last picture PRICELESS!! !